Okay remember how I said we had some hard days? Well one of those was last Monday. A bunch of things canceled on us and when we were knocking in an apartment complex no one wanted to talk to us. 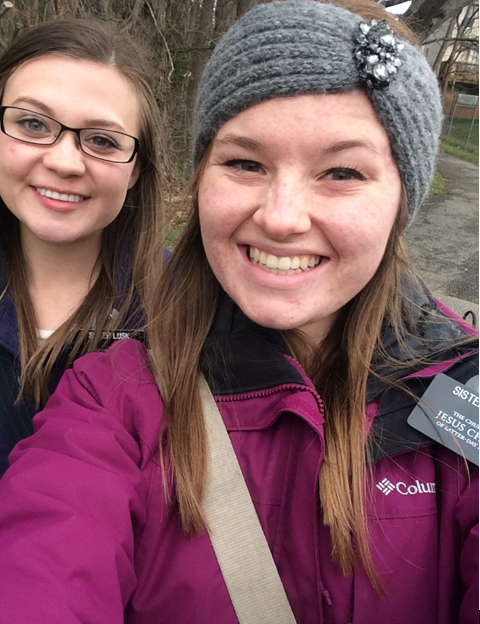 Sister Farnsworth and I decided we needed to change things up and we decided to walk outside even though there were hardly any people there. We talked to 2 people while on our walk and they both didn’t seem very interested. But one said she would come check out our church the next week. She sounded convincing but we almost forgot about it because people promise us that all the time. BUT SHE CAME ON SUNDAY! We were SO EXCITED! She missed her own services so she could come to ours and she really enjoyed it and wants to come back. Also we got a return appointment to teach her this week!